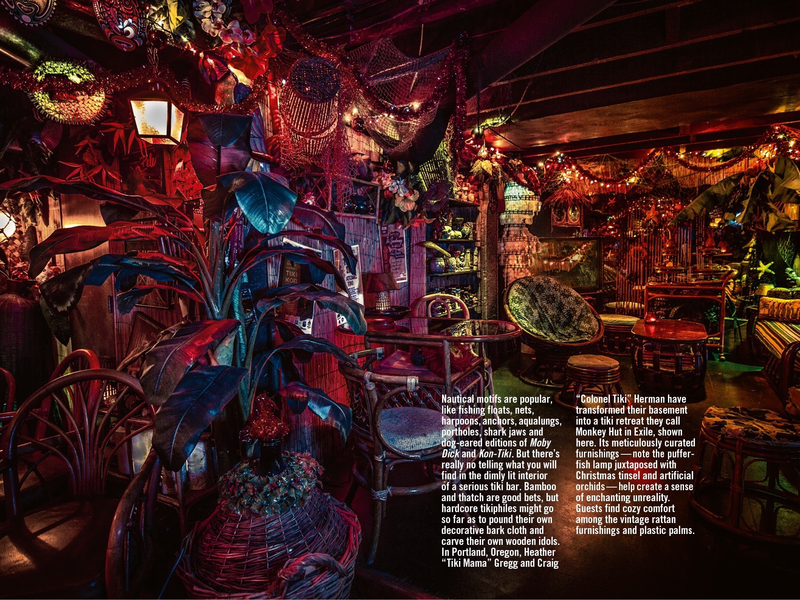 The August/September 2016 issue of Hana Hou!, the in-flight magazine of Hawaiian Airlines, features gorgeous photography of home tiki bars in a piece titled “Basement Bora Boras”. The pictures are by Kamala Kingsley—you may be familiar with her work as the official photographer of the annual Tiki Kon event in Portland. Kamala has a great eye for capturing tiki party scenes. 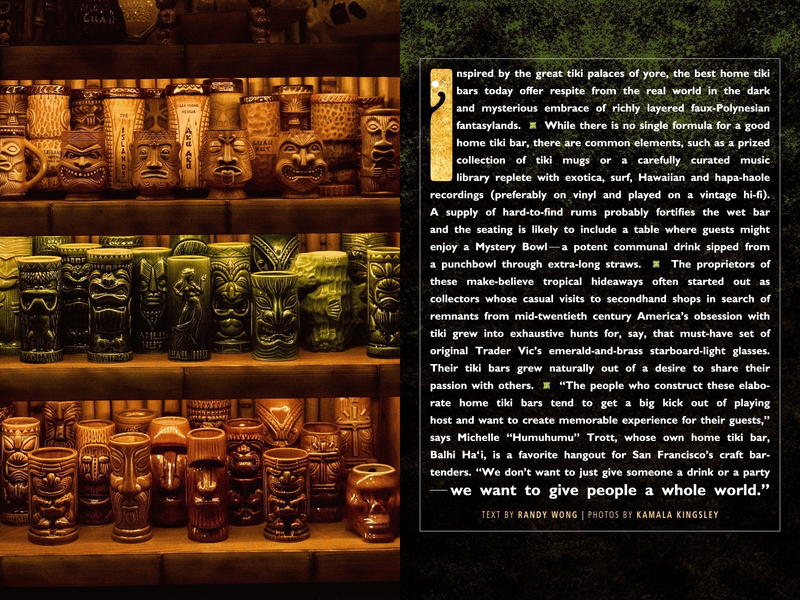 The accompanying text, and the idea for the photo spread, comes from Randy Wong of the band Waitiki. 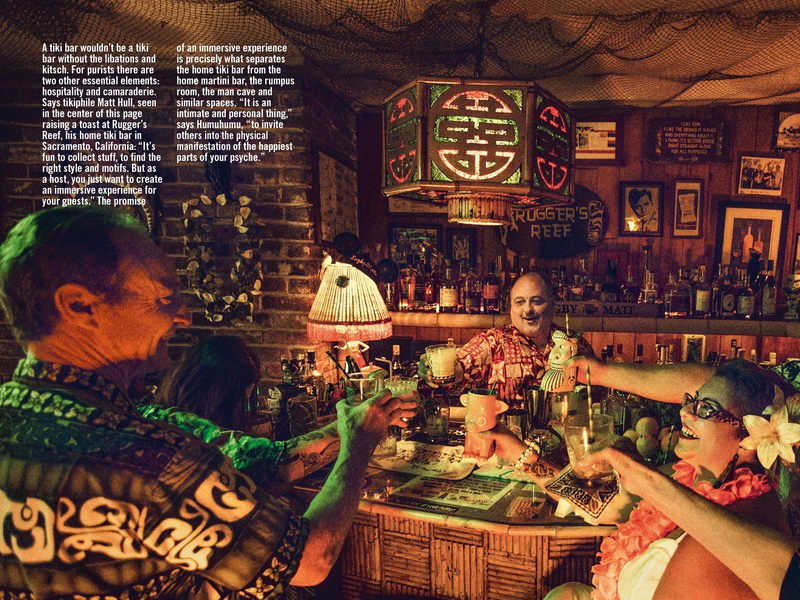 The bars included in the spread are my own Balhi Ha’i in San Francisco, The Monkey Hut in Exile in Portland, OR, the Desert Oasis Room in Corona, CA, Hale Antonelli in Huntington Beach, CA, and Rugger’s Reef in Sacramento, CA. Hana Hou! clearly wanted to go big with Kamala’s amazing photos, but limited space in the magazine meant some hard decisions had to be made, and a ton of incredible pictures didn’t make the cut. Kamala will be able to share some of the outtakes soon, follow her photography page on Facebook to see them. If you’ll be flying to the islands in August or September, be sure to bring your copy of Hana Hou! home to share with your friends. Very nice article, until the very last page. 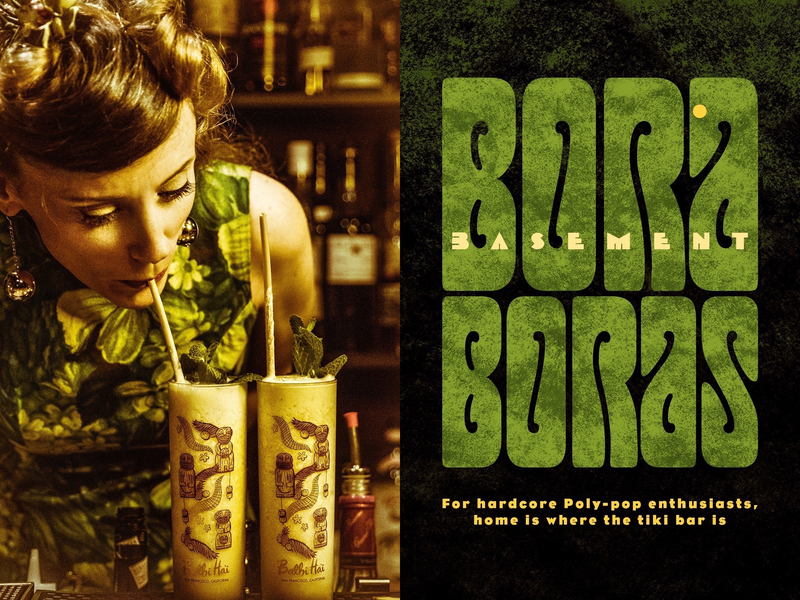 Some of the best home bars in the country for sure. But for some reason, the word “Kitsch” had to be used. Point taken, but magazine writers usually don’t have 100% control over every word printed. As you pointed out, it’s a “very nice article,” and based on the rest of the writing, I think it’s possible that “kitsch” wasn’t the author’s intended word. Perhaps “ephemera” was just too 2 characters too long?